The Teen Challenge of St. Louis is one of the many rehabilitation centers founded under the name Teen Challenge of St. Louis. The first Teen Challenge of St. Louis facility was founded in 1960 in New York. Since then, the facility has grown out to become what it is today. Nowadays, there are more than 1,000 Teen Challenge of St. Louis facilities located in more than 95 countries. One of which is located in High Ridge, Missouri – the one that we are here to talk about today. The Teen Challenge of St. Louis facility in High Ridge, Missouri was founded back in 1981. The Teen Challenge of St. Louis offers residential treatment programs to patients struggling with drug addiction issues of any kind. However, the Teen Challenge of St. Louis only accepts male patients age 18 to 30. This is a non-profit rehabilitation center that employs past patients who have successfully completed their treatment program at the facility and now use their experience and knowledge on the topic to help other patients in need. The Teen Challenge of St. Louis’s recovery program is founded on the 12-step recovery process and the teachings of the Bible. Although the facility itself does not require patients to be Christian in order to be accepted in the treatment programs, they are required to be open-minded about participating in the daily prayers, Bible studies, etc. The residential treatment program includes individual and group therapy sessions and lasts anywhere around 4 to 40 months, depending on the condition – physical and mental, of the patient. Detoxification is not available on-site and patients are required to complete their detoxification before they proceed to get treated at the Teen Challenge of St. Louis. Medication management is not offered as well. 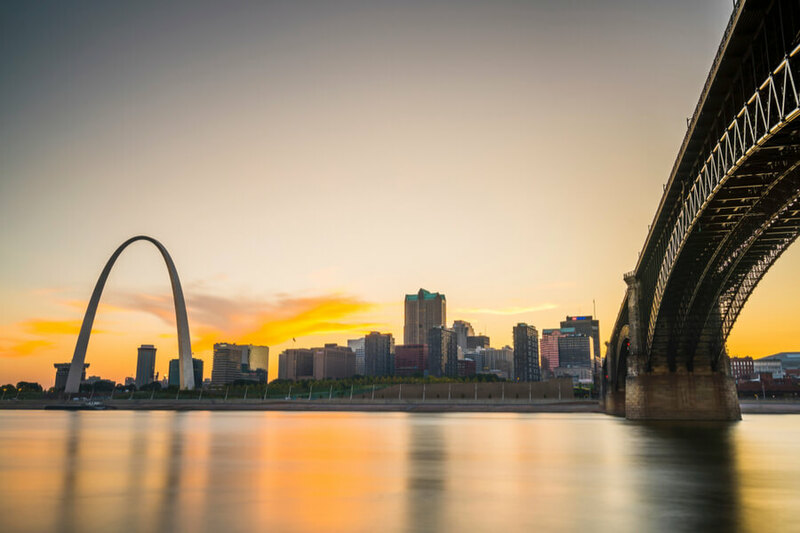 Rather than being considered clinical, the residential treatment program at the Teen Challenge of St. Louis is considered to be more of a holistic. Relapse prevention has a great role in the treatment process as patients are thought all about the issue of addiction, the potential triggers and how to avoid them in the future. The Teen Challenge of St. Louis facility offers to accommodate patients during the duration of their residential treatment program. All of the patients are required to share bedrooms and bathrooms with each other. The bedrooms are equipped with bunk beds, dressers, and closets. There are a few common rooms, administrative building, offices, classrooms, and a chapel. Outside the facility, there is a picnic area and basketball court. The main cafeteria and kitchen is where all three meals are prepared each day, by the patients themselves using donation food. No electronic devices are allowed to be used within the grounds of the facility. The patients are required to take care of the inside and the outside of the facility as a part of their recovery and volunteer work. Residential treatment program – The residential treatment program is the only program offered to the patients at the Teen Challenge of St. Louis rehabilitation center. This program requires the patients to live on the grounds of the facility anywhere around 4 and 40 months, as long as their recovery is in progress. It includes individual and group therapy sessions, daily prayers, Bible studies, and relapse prevention. Unfortunately, no specific information about the acceptance of insurance plans at the Teen Challenge of St. Louis is to be found on their official website. The price that is to be found on the official website is – $450 for residential treatment. For more information on the topic, please contact the staff via email or phone. According to their official website, the Teen Challenge of St. Louis rehabilitation center and its professional team enjoys the ECFA accreditation (The Evangelical Council for Financial Accountability). The ECFA’s mission is to make sure that charitable, and religious rehabilitation centers are maintaining their help at a top level at all times. For more information on the topic, please contact the staff via email or phone. When we are talking about the Teen Challenge of St. Louis rehabilitation center, we are talking about a non-profit facility that requires volunteer work and regularly organized fundraisers in order to gather up the money that the facility needs in order to stand tall. Patients are required to participate in the scheduled fundraisers and help in any way that they can so that the facility can successfully grow and maintain strong as it is. The whole professional team at the Teen Challenge of St. Louis is concluded of past members at the Teen Challenge of St. Louis who have successfully completed their residential treatment programs at the facility. Following the teachings of the Bible and their past experiences with drug addiction, the professional team of individuals, although without any professional accreditation and certification, succeed to provide top-notch care and support to those who most need it.